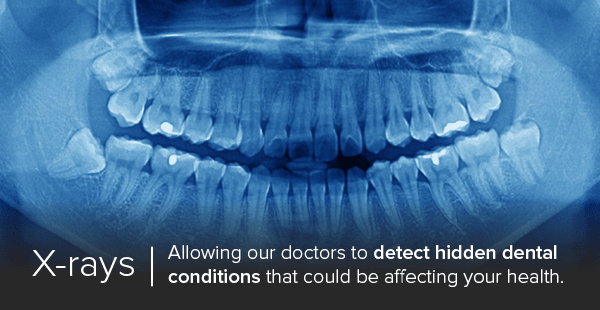 X-rays and intraoral cameras help our team see more of your dental health. 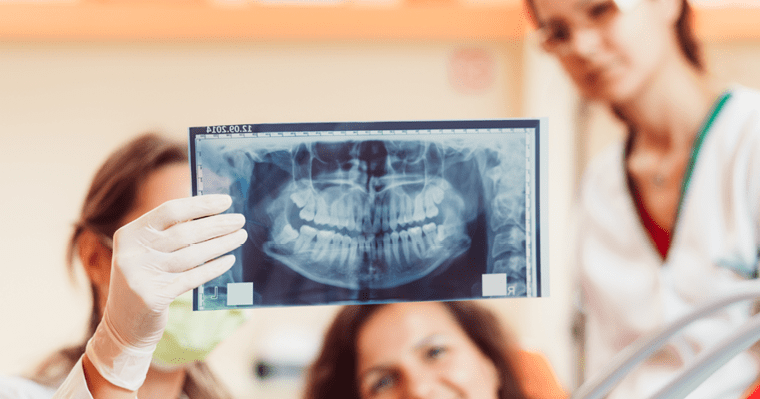 We use digital x-rays and intraoral camera technology at Bingham and Howarth Family Dentistry because we believe it is important to stay up-to-date and provide our patients with the best dental care. Today we are held to a standard of care like never before-to provide excellent care for our patients according to the available technology. Oral screenings given by Dr. Bingham or Dr. Howarth can now be photographed and shared with other dental/medical professionals. Having the ability to communicate with images instead of just written word has come a long way! Dental x-rays are an important part of a thorough dental examination. How much radiation exposure am I getting? Does my insurance cover these x-rays? Dental x-rays are needed for many reasons. 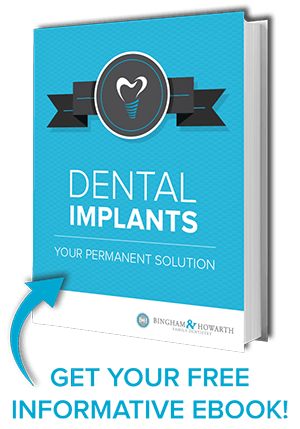 They can expose hidden tooth decay, reveal tooth abscesses, cyst or tumor, show impacted or extracted teeth and also help determine the condition of dental fillings, crowns or bridges and root canals. Dental x-rays can also reveal bone loss from periodontal gum disease, locate tartar buildup and see if there is enough bone for placement of dental implants. These are just some of the reasons why our Tulsa dentists at Bingham and Howarth Family Dentistry rely on digital x-rays. Some of our patients are concerned with the amount of radiation exposure they will receive as soon as the lead apron is placed on them . Dr. Bingham and Dr. Howarth are very understanding about minimizing their exposure and therefore uses digital x-rays which give less radiation exposure than film. Our doctors always refer to and follow the ADA guidelines. Using the top technology available to give you the best treatment possible. An intraoral camera is a small video camera that takes pictures of the outside of the gum or tooth. The use of an intraoral camera by our staff gives us the opportunity for our patients to see the same magnified world we see everyday! We understand that you may not always want to see what we see, however, it is our responsibility to share the information about the state of your dental health however we can. Having a photo image from an intraoral photo has an impact on how our patients can see a healthy mouth in contrast to an unhealthy mouth. 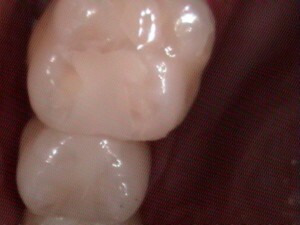 Verbally explaining redness, bleeding gums, cracked filling or an abscess can sometimes be too abstract. Showing our patients a photo is important to us instead of the patient conjuring up mental images. Unlike digital dental xrays, intraoral photos are not needed for every patient or at every dental appointment. If we decide to take photos of your mouth, our doctors and our hygienists will be happy to explain why intraoral photography is the right choice for your oral health. Ask as many questions as you’d like!! We hope you’ll agree that new technology like intraoral photography has greatly improved the patient experience during a dental appointment. If it has been awhile since your last dental visit, we invite you to contact our office for a dental thorough examination. Please call Bingham and Howarth Family Dentistry at (918) 481-4925 to schedule an appointment. We look forward to hearing from you!